Earlier this year, J.J. Abrams brought us Super 8, a film that reverently referenced the Amblin films of the 1980s. While that film was loved by some and disliked by others (I’m in the latter camp), the major selling point in the film’s trailer was the Spielbergian tone. Next month the Academy Award winning director Martin Scorsese brings his own love letter to cinema, Hugo, to the big screen. But instead of playing on the emotions of those who grew up with ET or The Goonies, Scorsese is going a bit higher brow. The film’s devastatingly beautiful poster is straight out of Lloyd’s Safety Last, and the train station setting is a nod to L’arrivée d’un train en gare de La Ciotat, the famous short film that scared the wits out of unsuspecting cinema-goers who weren’t used to movies yet. A train heading straight toward the camera sent people running for the aisles. The whole trailer reeks of the experimental films the French crafted when film was born, and since this is Scorsese’s first foray into 3D, the experimental nature is appropriate. Scorsese has turned this 3D family film into a love letter to the old cinema, films seen mostly by those who studied film theory and criticism in college. So basically, nerds like me. I’m not sure what that means for the film’s commercial prospects, but I for one can’t wait. Aside from The Muppets, this is my most anticipated film of the year. 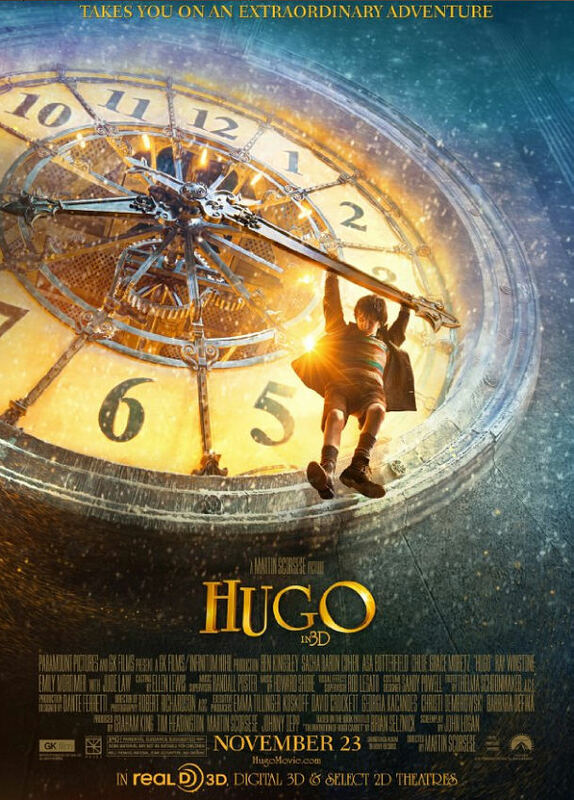 Hugo arrives in 3D theaters on November 23rd, 2011. Comments for Martin Scorsese’s “Hugo” Looks Amazing are now closed.